The first round of the 2018 South-African ORE national championship was hosted by TRAP RC Venue in Pretoria over weekend 17 and 18 February 2017. 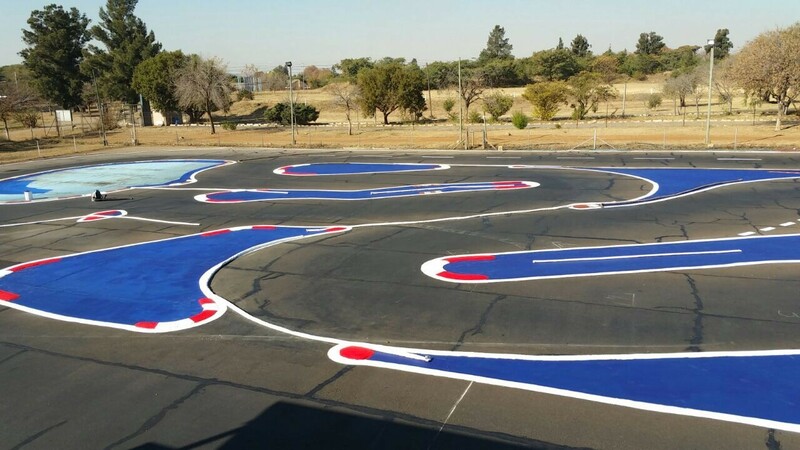 There is great excitement within the South African RC family with the 2018 IFMAR Worlds being hosted in Welkom later in the year. 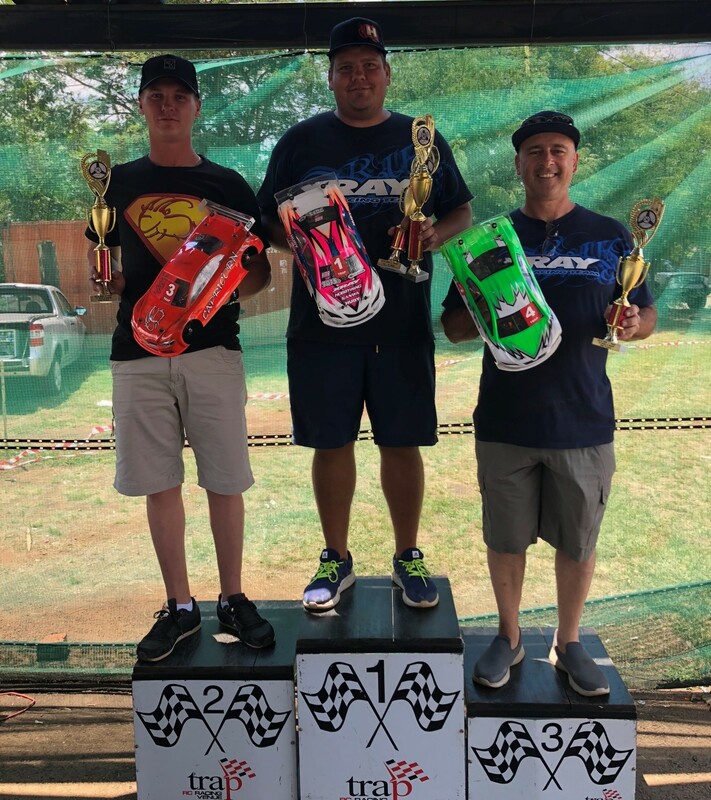 There were two practice and a pre-nationals events hosted before the nationals and all the top drivers were practising hard to fine tune the setups in hot weather conditions with the track reaching temperatures of up to 67 degrees and a very fast layout. The strong touring modified class will be competing for the honours in 2018. 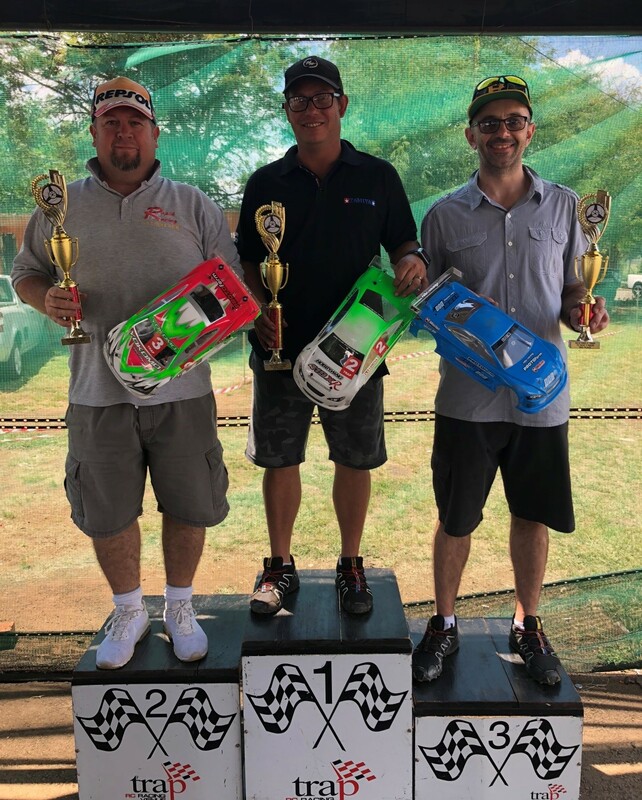 During the pre-events and practise rounds the local Liebenberg brothers dominated the fast pace with their Capricorns and the it was up to the other drivers to focus on their setups with Xray, Yokomo, Infinity, Tamiya and Associated chassis brands competing in 2018. Xray team mates Anderton Smith, Hein Kotze, Shaun Schutte, Antonio Caroli and Ashley Hurley also had great practise sessions. The qualification round was a tight affair with Hein Kotze winning Q1, Jacques Liebenberg winning Q2 and Conrad Liebenberg winning Q3. 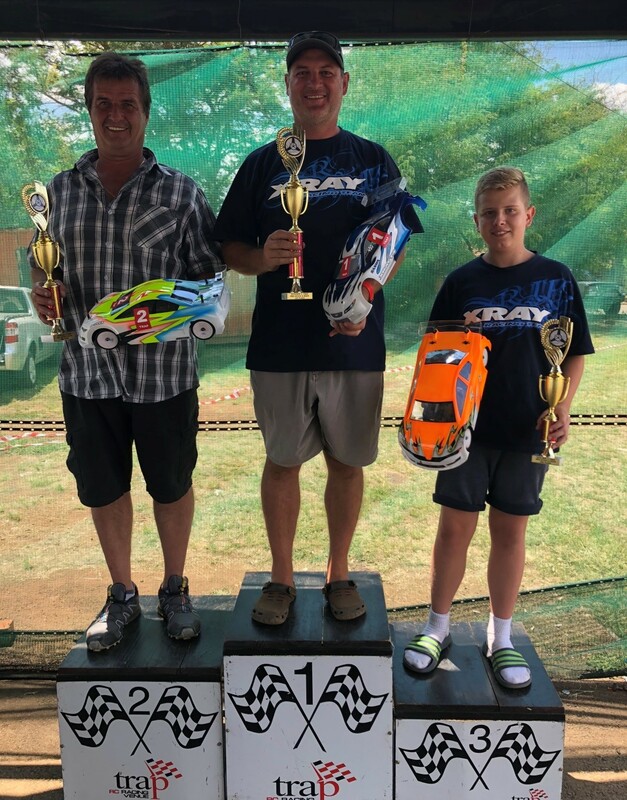 It was Hein Kotze who managed to win Q4 with his Xray T4 ‘2018 to secure overall TQ. The racing in the A finals was great with cars achieving speeds of up to 118km/h down the straight. Hein Kotze went on to win A1 and A2 to secure victory. It was Jacques Liebenberg who eventually achieved 2nd place with Antonio Caroli completing the podium. 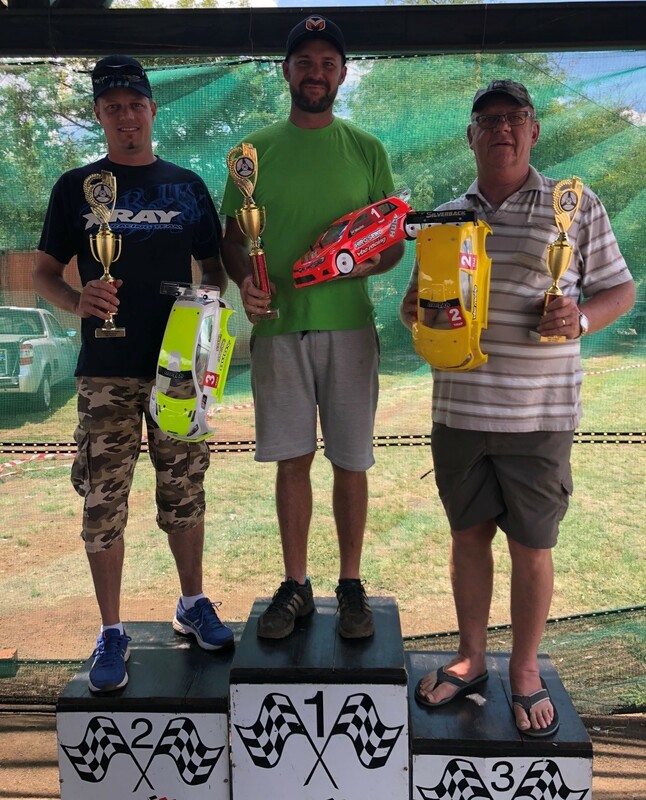 The Pro-stock class had a good turn-out and there was some competitive racing between newcomer Jan Venter, Kevin Hattingh, Jean Wessels, Emile Moerman and Gunther Cornelius. 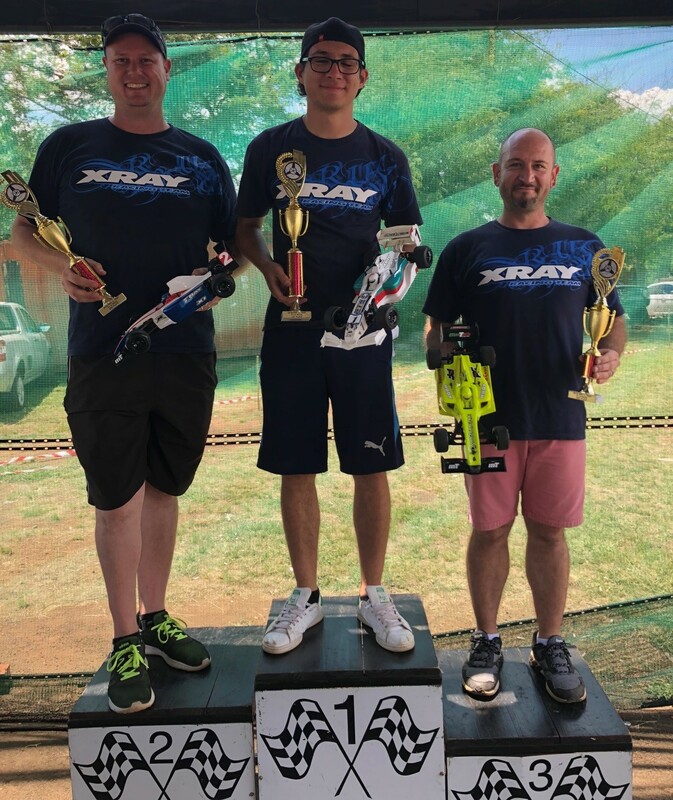 It was Gunther Cornelius (Xray T4) who managed to secure TQ with Jan Venter starting in 2nd on the grid and Jean Wessels from 3rd. Gunther managed good consistent runs in A1 and A2 to secure the overall win. 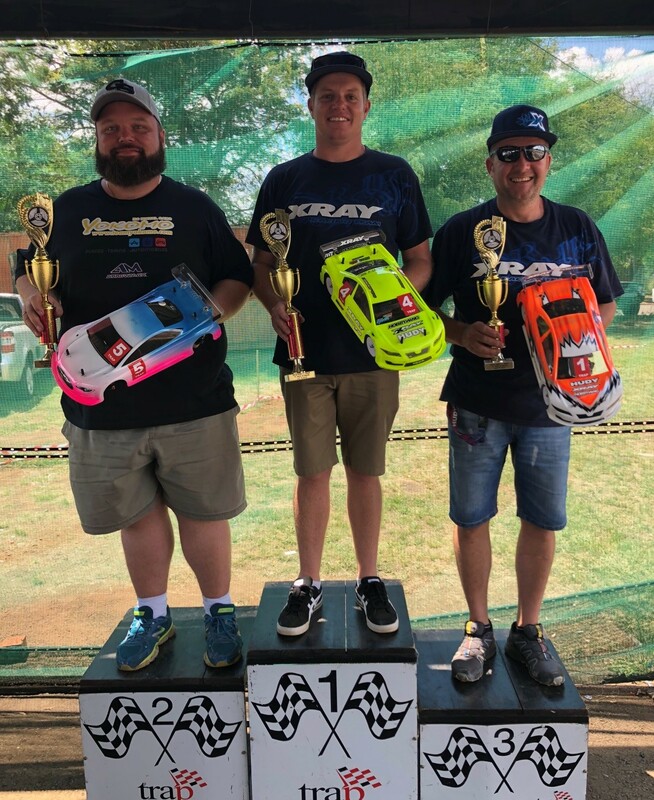 Jan Venter managed to hold on to his 2nd place with the youngster Kevin Hattingh driving his Xray T4 to 3rd on the podium. The F1 had challenging grip conditions with the high track temperaturs, but the drivers managed to get their cars to work great and improved throughout the two racing days. Pedro de Gouveia continued his dominant form from last season by easily securing TQ and also winning A1 and A2 to secure overall victory. He was followed by Brett Ross who had great battle with Jannie Hattingh and Pieter Swemmer. Jannie eventually managed to complete the podium in 3rd place. With a small field for this event the four drivers had some great battles in the qualifying rounds as well as the final races. Charles Hudson managed to take the TQ honours after a great battled with Fanie VIljoen Snr. 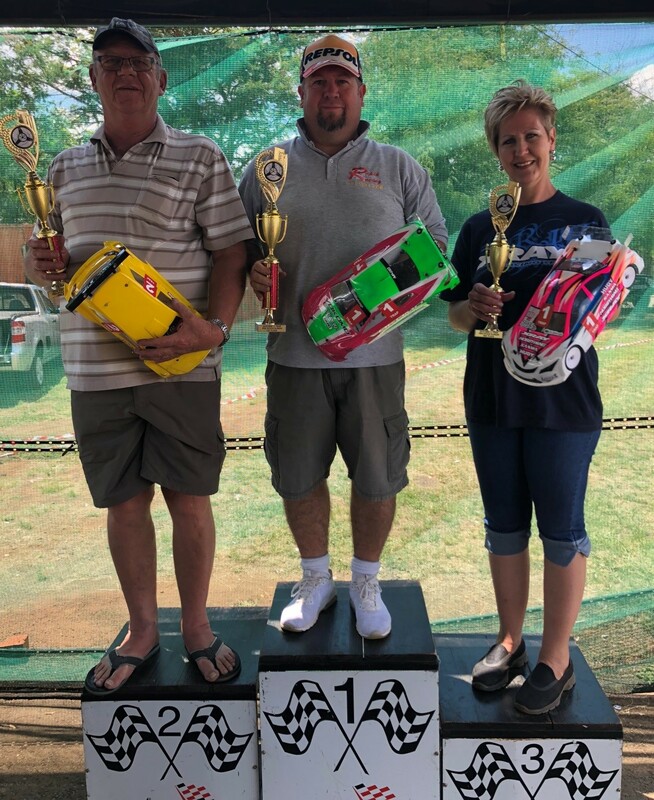 In the mains it was Charles again who secured an overall win with Sarel Pretorius taking 2nd place and Fanie completing the podium after a hard day’s racing.